Later in the week we headed down to Venice to stay a couple nights at Grammy and Papa’s new villa in Venice. It was our first trip to Venice Beach so we were really excited to check out the area. 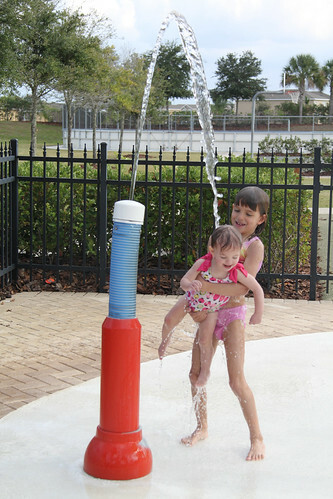 Although, the kids only really wanted to play in the awesome pool. Can’t say that I blame them. 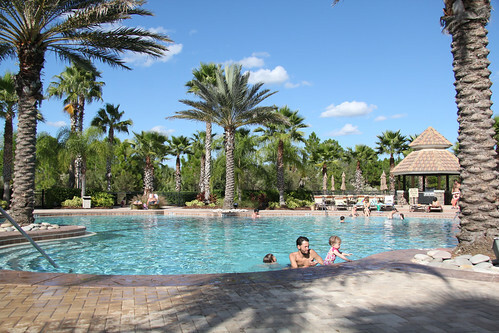 It was really a great pool complex. 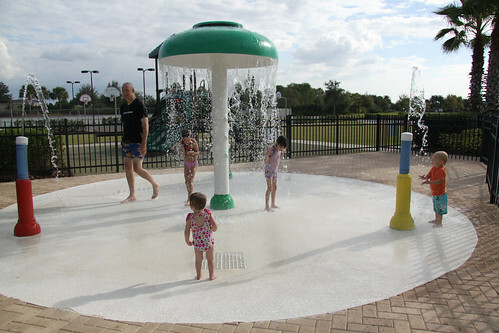 They had a little splash area which I was sure the kids wouldn’t like. But, to my surprise they all loved it. Especially Kayla. 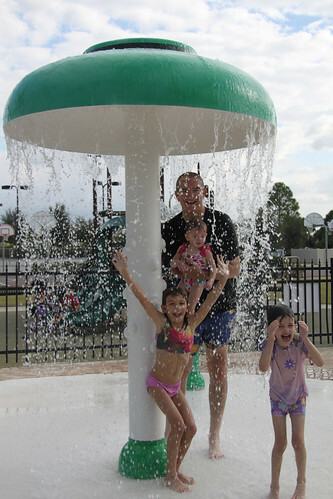 Papa started off by running Kayla in and out of the mushroom water fall. Next, Kayla was walking up to the falls herself but not quite all the way in. Not far after that she was running all over the place. 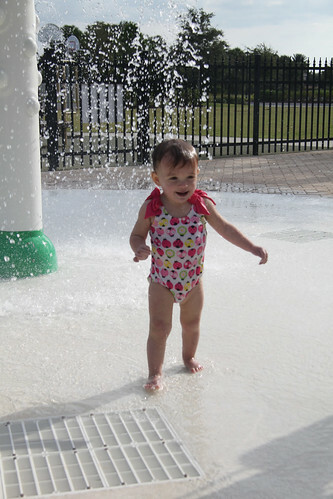 She didn’t seem to mind having the water splash in her face at all. Believe it or not she actually begged Sydney to do THIS to her. 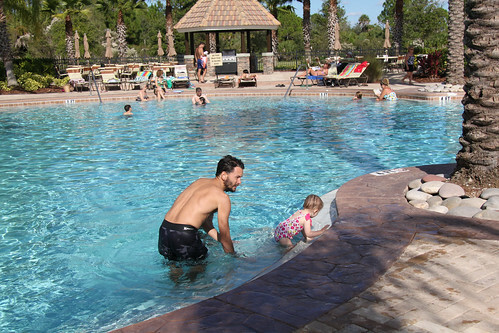 Later Daddy was able to join the party and take his turn with Kayla in the pool. This was no easy task as the kid would not sit down. She would climb up the pool stairs, run around the stairs, get out of the pool and run around the deck, then come back and try to climb into the pool herself. If ever there was a water baby this kid is it. 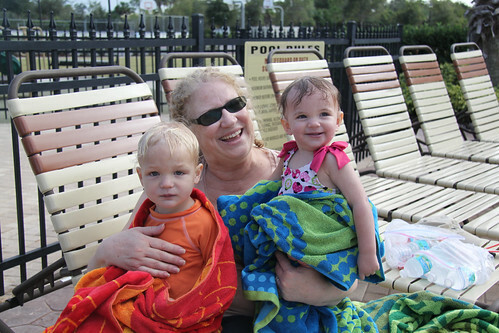 Good thing Grammy was there to warm up the little ones when their lips were turning blue. 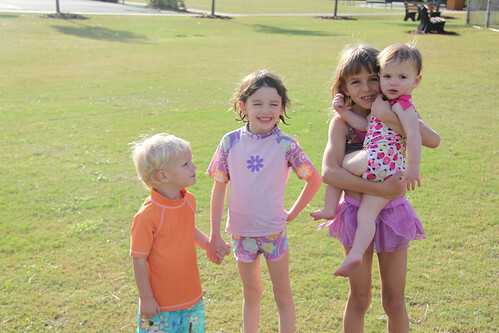 Once we convinced the kids that pool time was over we started walking back to the villa. Our walk was disrupted by some loud whooping noises. We carefully walked over to where the noises were and spotted these guys. 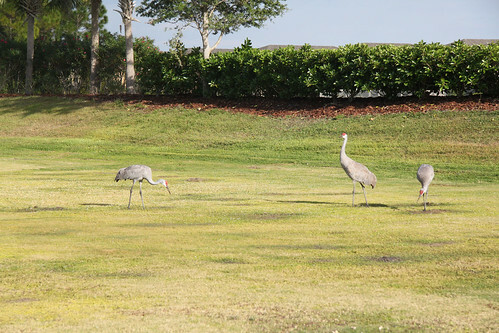 I believe they were sandhill cranes which are local Florida residents of this area. Soon after arriving back at the villa I snapped this shot. 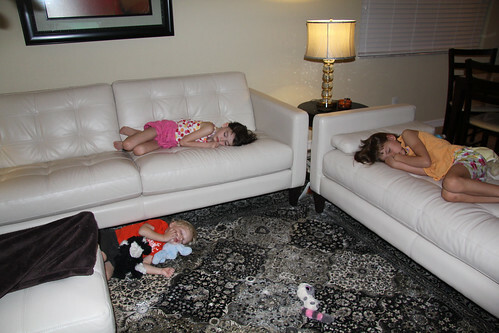 I think its pretty safe to say we wore these kids out.